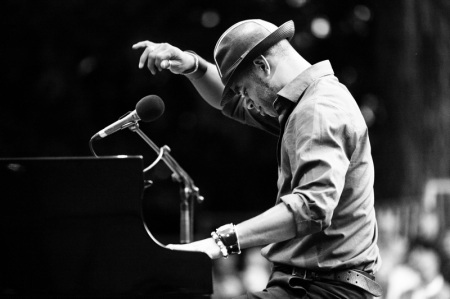 Roberto Fonseca and Temperamento will celebrate tomorrow Friday August 26th, 15 years of work together with a concert entitled Quince años y una nueva sonoridad, the show will take place in the courtyard of the building Arte Cubano, in the Museo Nacional de Bellas Artes in Cuba. Fonseca has announced that will play new compositions, some of which will be included on his next album. As special guests, guitarist José Luis Chicoy, singer Danay Suarez and rappers Obsesión among others, will joint Roberto on stage.